A report in today's Financial Times says that Middle Eastern airline Etihad has approached the Government regarding its 25% stake in Aer Lingus. This comes after the Government said in September it would sell its stake in the airline. Transport Minister Leo Varadkar said that he would not sell it for less than €1 per share, which would value the stake at €132.4m and Aer Lingus at €529.6m, the newspaper said. Aer Lingus shares were higher in Dublin trading after the report. 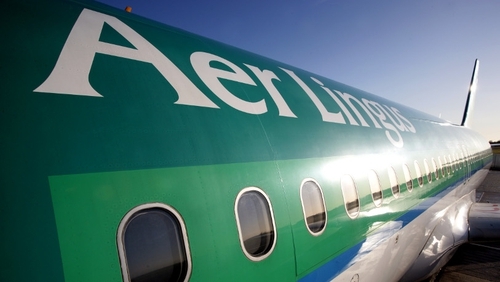 A spokesman for Mr Varadkar said today that since he indicated the Government was willing to sell its 25% stake in Aer Lingus there has been "considerable interest from other airlines and investors." The FT said it is not yet clear how far talks have progressed and they might not result in any deal. Analysts believe that the most likely buyer of the airline is International Airlines Group, the parent company of British Airways. Its chief executive Willie Walsh was a former boss of Aer Lingus. Last week James Hogan, Etihad's chief executive, met Taoiseach Enda Kenny at the Gobal Irish Economic Forum in Dublin. Mr Hogan announced 100 new jobs for cabin crew based in Ireland. The Financial Time says that Etihad has been in talks with Virgin Atlantic on a possible partnership should the UK carrier bid for BMI, the loss-making subsidiary of Lufthansa. IAG, the holding company of British Airways and Spain's Iberia, has tabled a preliminary offer for BMI, which holds valuable take-off and landing slots at Heathrow airport.